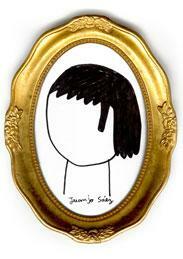 Juanjo Sáez is a professional cartoonist and a star of the new scene in Barcelona. After studying art and design, he wrote and illustrated several advertising campaigns for various international brands, such as Nike, Perrier, Converse or Vodafone / Lowi. He is also a regular contributor to various newspapers and magazines. He has published almost a dozen titles. Among them on should not fail to mentionBuenos tiempos para la muerte (Morsa, 2000), Dentro del sombrero (Kókinos, 2001), Viviendo del cuento (Penguin Random House, 2004 – Junceda Illustration Award), followed by the international hit El Arte. Conversaciones imaginarias con mi madre(Penguin Random House, 2006), Crisis de ansiedad (Penguin Random House, 2013) and Hit emocional (Sexto Piso, 2015). His latest published title is a special 10th anniversay edition of El Arte. Conversaciones imaginarias con mi madre (Astiberri, 2016), that includes extra materials. He is the creator of the animated TV series Arròs covat, winner of an Ondas TV Prize 2010, also published as a graphic novel: Arròs covat (Penguin Random House, 2010). He is currently working on his second animated TV series, whose premiere is scheduled for late 2017.